You: A mild mannered urbanite living in the frozen hinterlands. You ooze with style and sophistication. You are so cool, you want to be YOU when you grow up! Your alter ego: Winter City NINJA! At the first threat of injustice (or even a cool breeze) you transform. 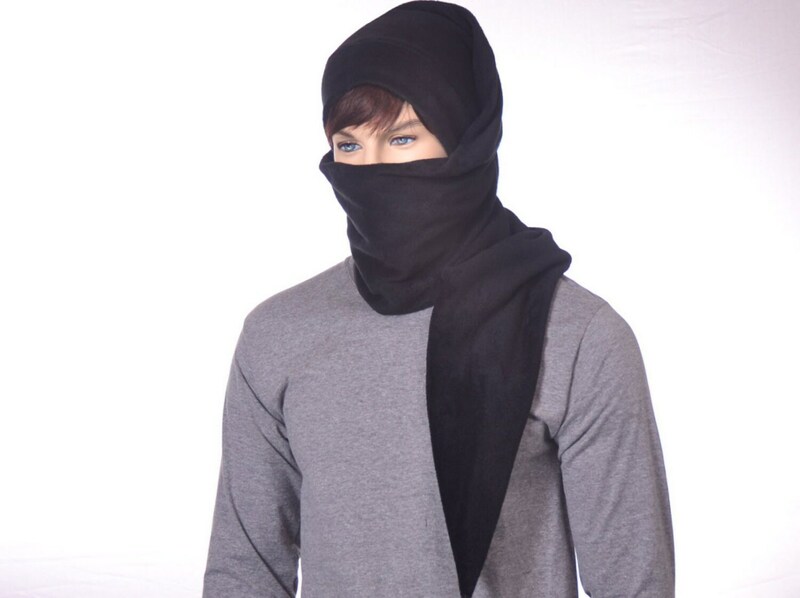 Pull the wide tail of your stylish chapo around as a scarf and you are instantly ready for action and protected from the elements. This very warm hat is about 9 inches wide for the first 3 feet after which it tapers into a point. This hat is approx. 5 feet long made of black fleece and is intended to be worn coiled around. Double thick headband. Fits heads measuring 22-24 inches. If you need a different size it can be customize.